I always enjoy spending time with Maggie Hope, and the fifth adventure is no exception. In this outing her code-breaking and espionage skills have taken her back across the Atlantic to the US, her childhood home, ostensibly to act as Winston Churchill’s secretary while he confers with President Roosevelt in Washington DC. 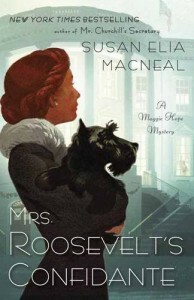 The attack on Pearl Harbor means America has finally joined the fight, but someone is threatening the joint war effort by trying discredit Mrs. Roosevelt with a manufactured scandal, so Maggie is temporarily assigned to the First Lady’s staff to make sure nothing jeopardizes the Allied alliance. 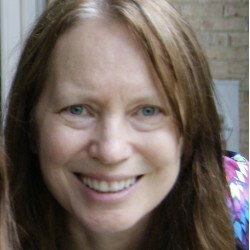 I greatly enjoyed the fictional portrayals of FDR and Eleanor, and we finally get to meet the aunt who raised Maggie in Boston, an outspoken women who firmly believes her niece's prodigious intellectual abilities are being wasted in her job as Winston’s “secretary”, a supposition Maggie is not allowed to correct since she’s undercover. Other historical figures in the book include German rocket maker Wernher von Braun and, surprising to me, Walt Disney, who apparently took time away from Mickey Mouse and his cartoon friends to make propaganda films for the US government. As always the story skillfully weaves multiple plotlines and points of view, which allows readers to keep up with the actions of Maggie’s Nazi mother and eccentric genius father back in England. Romance is in the mix, but not the focus, and while this book isn’t as dark as some of the early volumes it still addresses serious issues, most notably racism. The series is following the events of WWII closely, so I appreciate the Historical Notes at the end of the book that separate fact from fiction and name the author’s sources. I love this series--the books keep me glued to the page and have greatly enhanced my understanding of WWII dynamics. I read an ebook advanced review copy of this book, supplied to me at no cost by the publisher through NetGalley. Review opinions are mine.